If you're like many other Canadians and Americans, the holidays can throw you off track. Your Office coworkers mat have brought in extra sweets and holiday treats, you may have indulged in an extra alcoholic beverage with friends and family and of course, eaten a variety of food rich in butter, and cream. And while you may have put this all behind you with the new year and resolutions to lose that weight you may have put on, here are a few tips and tricks to make sure you don't fall into the new year resolution health trap. Come January 2nd, the gyms are flooded with those new year resolutioners who vow to get back into shape, but come March they are nowhere in sight. There are a few reasons for this (See Be Specific Below), but before you sign that gym membership, make sure you have all the facts straight. Within Ontario, you have a 10 day grace period to opt out of a gym membership. After that you’re stuck baby. So unless you’re positively sure you’ll make use of the gym, don’t sign up. If the gym is not your thing, train outside, or join a class with a friend. Having someone there to motivate you and workout with may help both of you stay on track and pass the 90 day challenge of remaining active and healthy. Your diet can have one of the biggest impacts on your ability to shed those pounds and not only feel better but be better. While we all make those resolutions to eat more salad and not stuff ourselves with cake, don’t forget that the body needs a good dose of healthy lean protein. With every meal I try to have some. In the mornings, a protein shake, Lunch chicken or tuna with that salad and for dinner, a nice piece of fish with a tonne of veggies. Remember that our bodies need to be replenished with food for fuel especially if your workouts are heavy. However just because you exercise does not mean you can add on that extra slice of pizza or fries. Don’t sabotage your own hard work! Just how we have a spring clean and air out our homes and get rid of things that we don’t need. Purge your kitchen. Remove temptation and replace it with foods that are good for you. Same goes for your home and closet. Remove the clutter, throw out your fat pants. Make room for the new you. 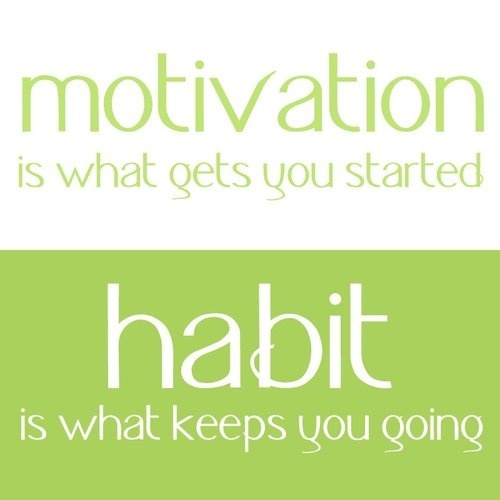 People who tend to become unmotivated in their Health resolutions tend to have very lofty ideals on what they want to achieve. My advice to you would be to be specific and set a time oriented goal. This year, I have decided to do another half marathon and have already signed up. I know my date for the run (May long weekend) and know that I have from now until then to train. Do the same. Pick a goal. Whether it’s to lose ten pounds, 50 pounds whatever it is, make a plan. Set a date for when you want it to be completed and be realistic. If your plan is to lose 50 pounds, know that it won’t happen in 3 months, this is a goal that could take well over a year, if done in a healthy and monitored way. How do you plan on achieving this goal? 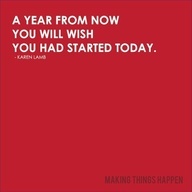 Will you join a run club, take up a sport, what exactly will you do to make that change to remain active past March? There are so many Apps out there that can help you track your calories, provide workout tips and even help you create a program just for you. Whether it’s the Couch to 5K program, or the JeFit App which provides a range of exercise for each muscle group, or Calorie Counter which helps you track what you’re eating, these apps, and many others are free and can help you find ways of modifying your workout and your meal plan. I drove by my gym yesterday and there was absolutely NO parking anywhere to be seen. It was completely packed. I actually love to see the influx of people, but like you said, it always dies down in a couple of months! Very well said. So many people put a huge number in the weight loss column, but they forget that they are fighting against healthy muscle weight gain. I like your half-marathon goal much better than a simple number. Being healthy is a total lifestyle choice, not just one diet or a gym membership. 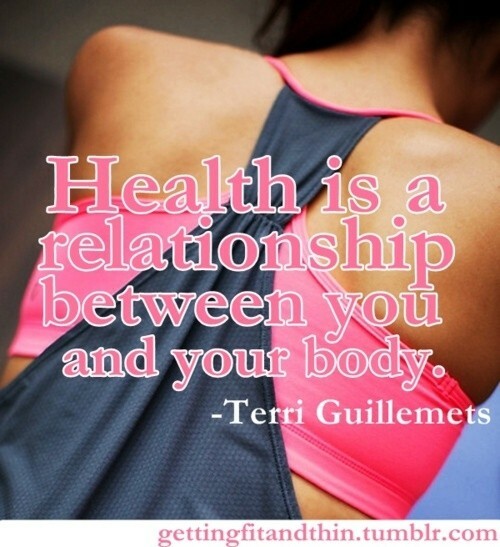 Being healthy is about balance, and I think you touched on a lot of what that really means. Fantastic tips to start off the New Year! Great tips to starting off a healthy, long-term new years goal. I definitely think people go way to hard in January and burn themselves out, it's all about keeping in mind that fitness is a life-long goal, not a short term one. 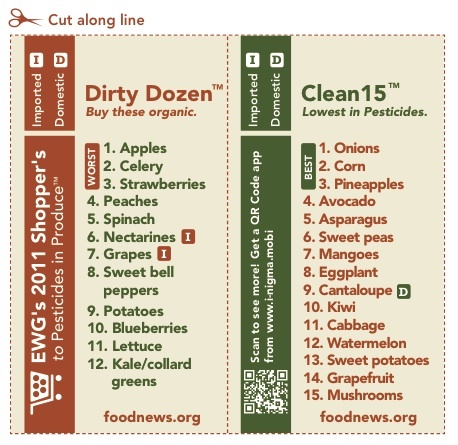 I also really like your points about food here, I had no idea some of high/low pesticide fruits and veggies! The holidays don't really throw me off track but eating out on vacation for 12 days? That definitely throws me off track. Great tips!